Do you notice how some people can eat whatever they want and still lose weight easily, while others have to exert doubly hard to get into shape? Dive into a short read about calories, weight management and metabolism. You can never really talk about matters relating to managing weight without first touching on calories. To provide a quick definition, calories are the amount of energy that’s stored in food. If you eat more calories than you burn in a day, the body automatically stores calories as fat. This would be for later use when internal calorie count is low. Inversely, losing weight means eating fewer calories and using up energy through physical activity. For working out at the gym, doing chores at home or commuting to and from work—the body needs energy to carry out everyday tasks. Even at rest, regular internal body processes such as the beating of the heart, circulating blood, digestion and even just breathing use up calories. The rate at which the body expends calories or energy is what is called metabolic rate. If your metabolism is fast, you will burn more calories at rest or performing an activity. To sustain a healthy drive and to maintain your weight, you will have to take in more calories. If your metabolism is slow, however, your body burns fewer calories at rest or during an activity; and to lose weight, you have to eat less or be smart with your food choices to avoid becoming overweight. 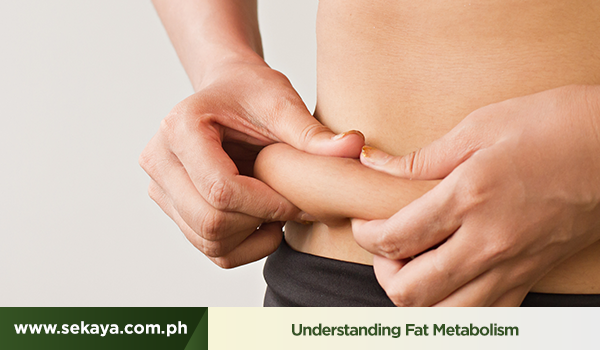 It’s important to understand that metabolism is one of the body’s natural processes. Whether one can control or permanently alter its rate is an issue that health experts are still currently studying and debating about. Subscribe to healthier meal plans that match with your metabolic rate. Get into the practice of being mindful when it comes to the calories you consume. Take a break when situations start to become stressful. Excess stress is never good for the body and its internal processes. And while you’re having your break, fix yourself a delightful, naturally slimming brew of Pu-erh Trim. Pu-erh has high levels of polyphenols (flavonoids, catechins and theaflavin) which are antioxidants best known for their fat-burning and stress-reducing properties. A study that was published online show that daily consumption of Pu-erh was associated with significant weight loss and reduced body mass index, specifically in the arms, legs and the belly.